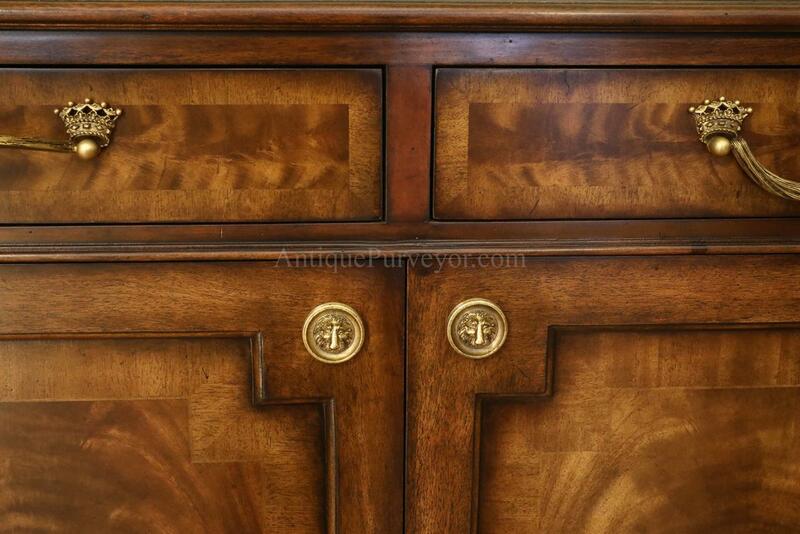 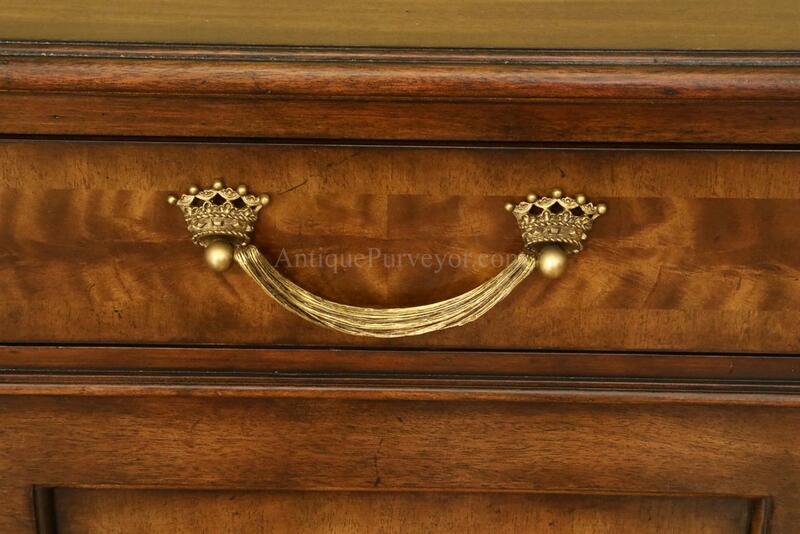 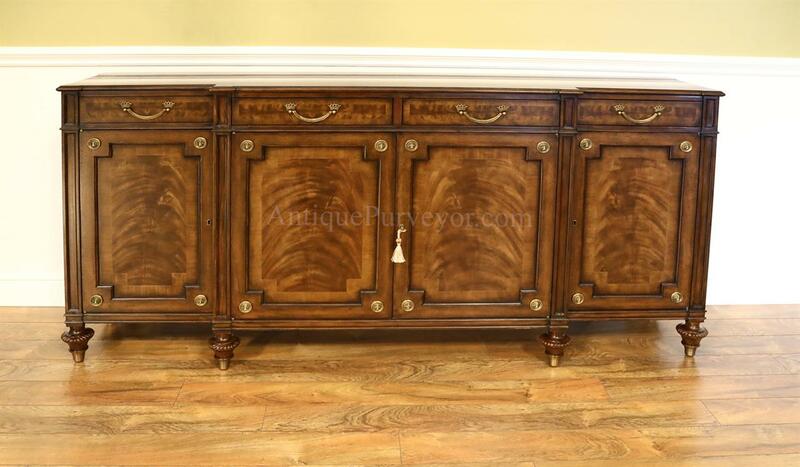 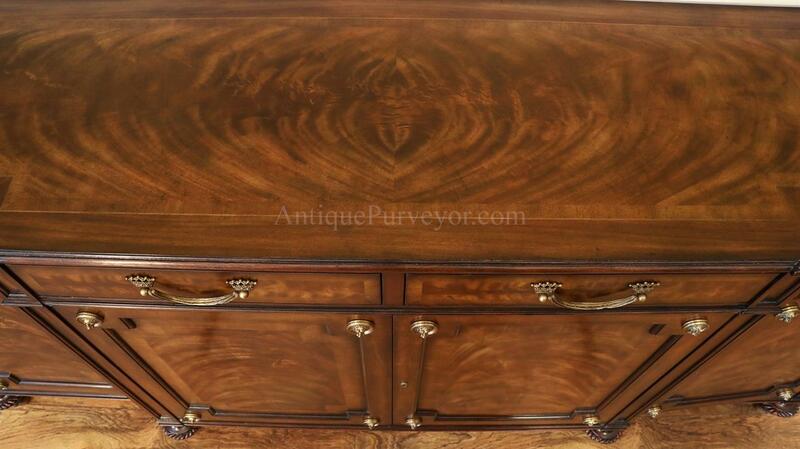 Description: Walnut dining room sideboard server with brass lions heads accenting cabinets and silverware drawers. 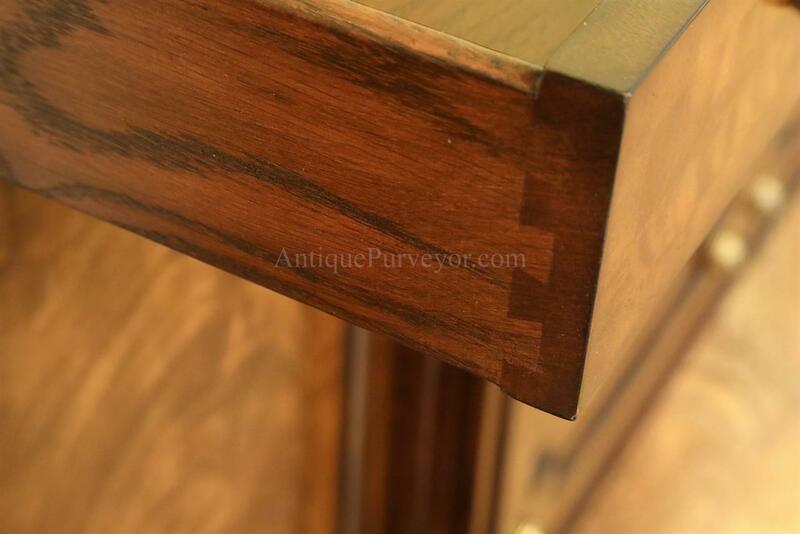 Crotch walnut finished in a chestnut or walnut brown color. 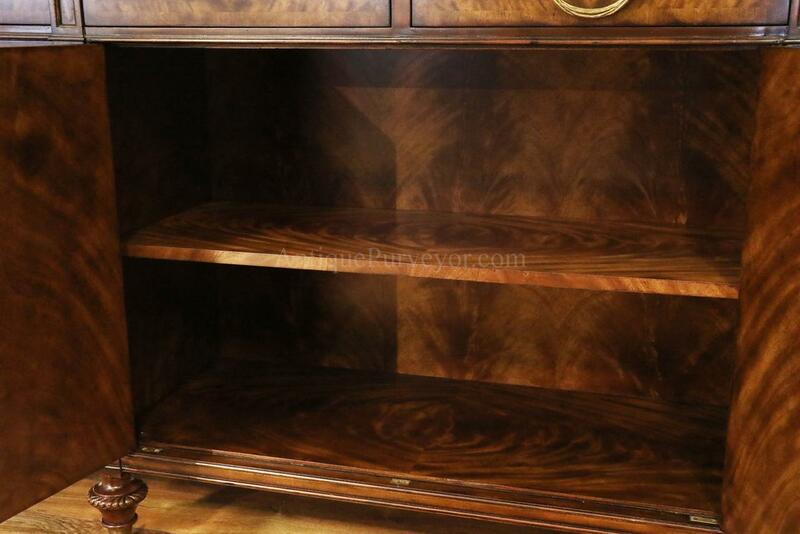 There is no red, orange or mahogany colors on this cabinet. 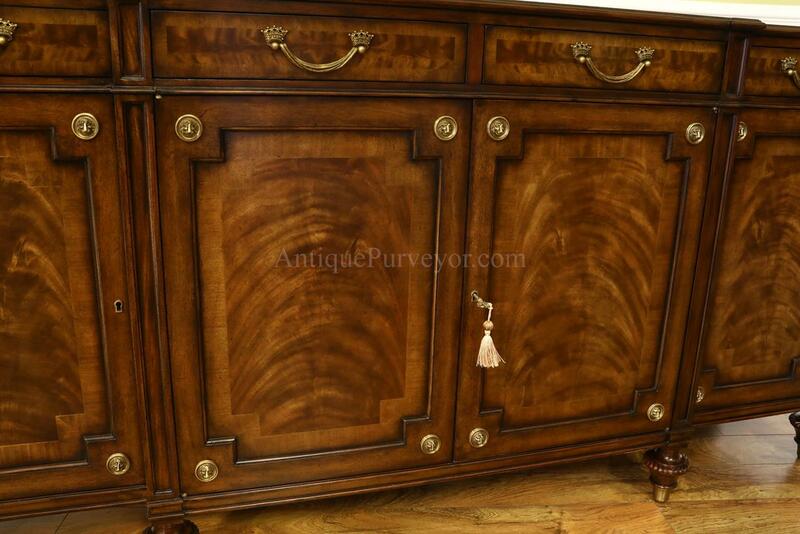 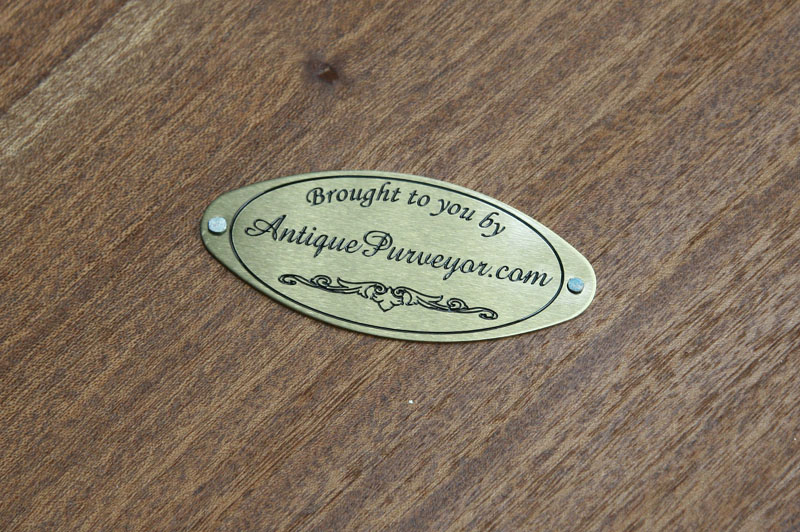 Very heavy and quality antique reproduction cabinet with Sheraton style legs terminating in brass capped feet. 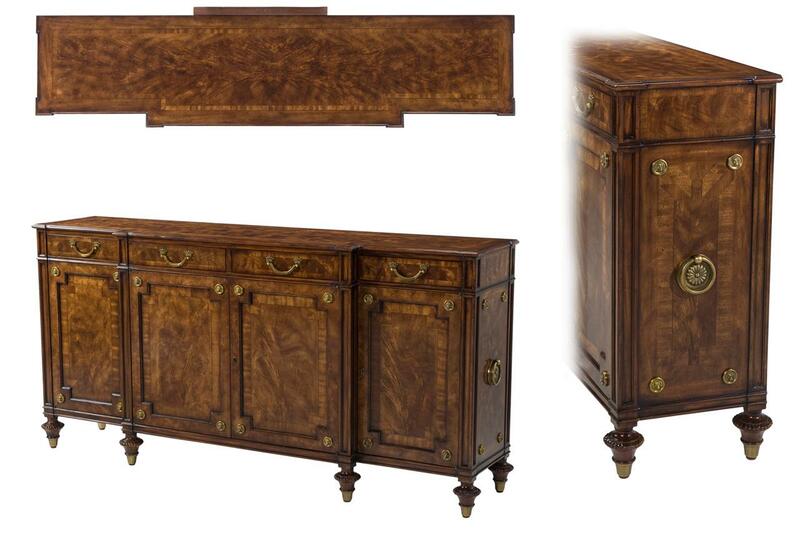 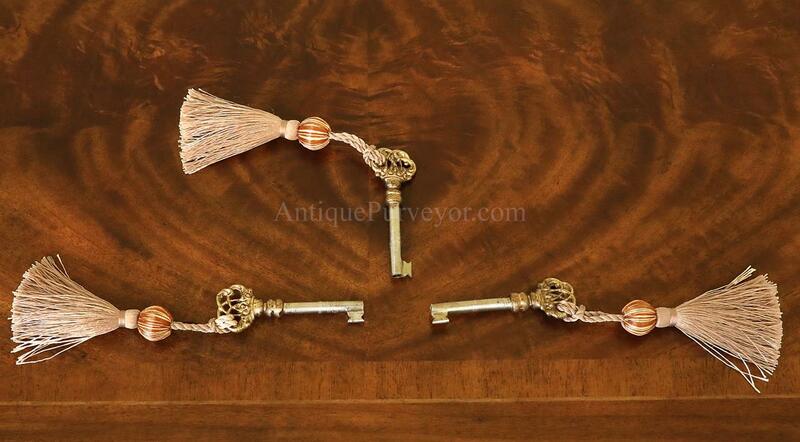 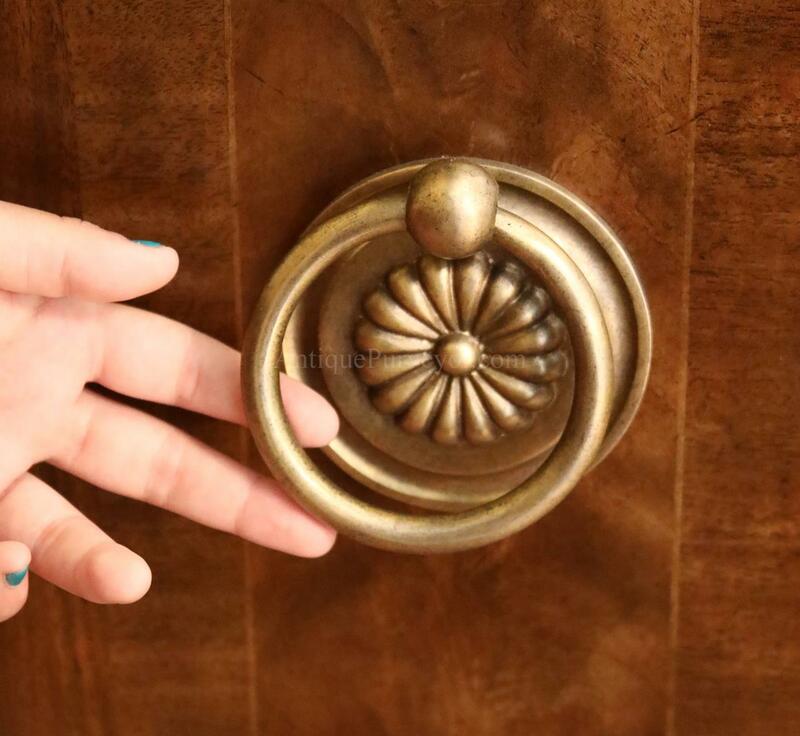 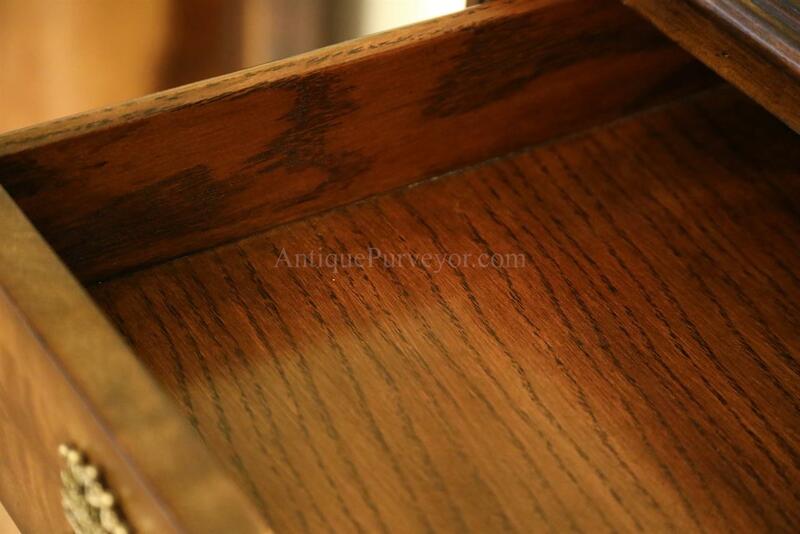 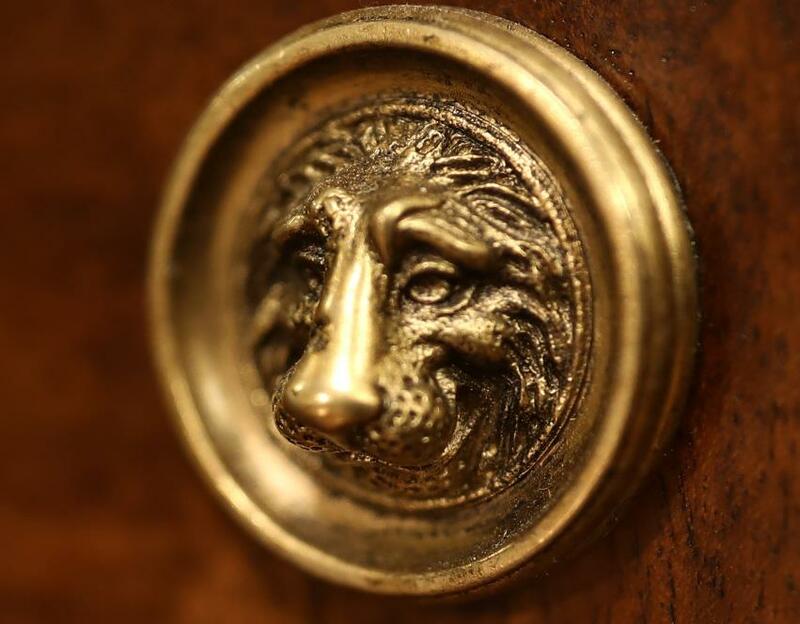 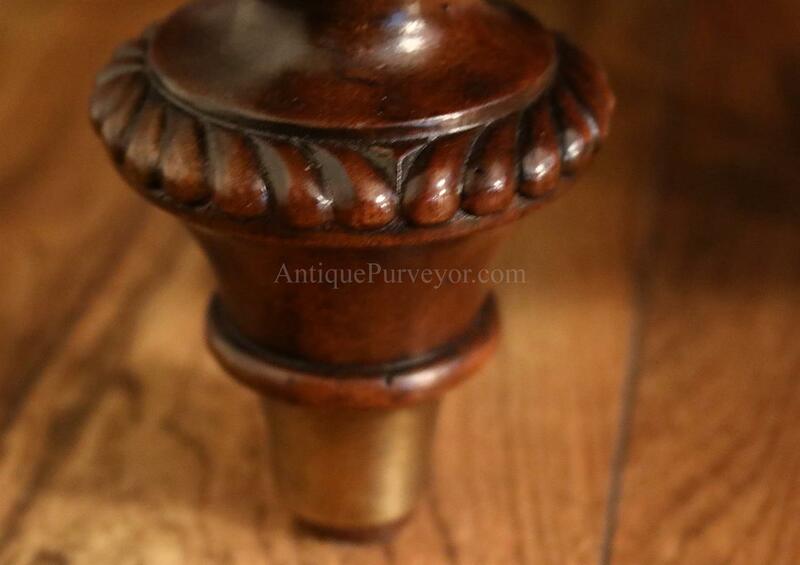 Custom and factory forged brass drawer pulls and other unique details make this look like a true period piece. 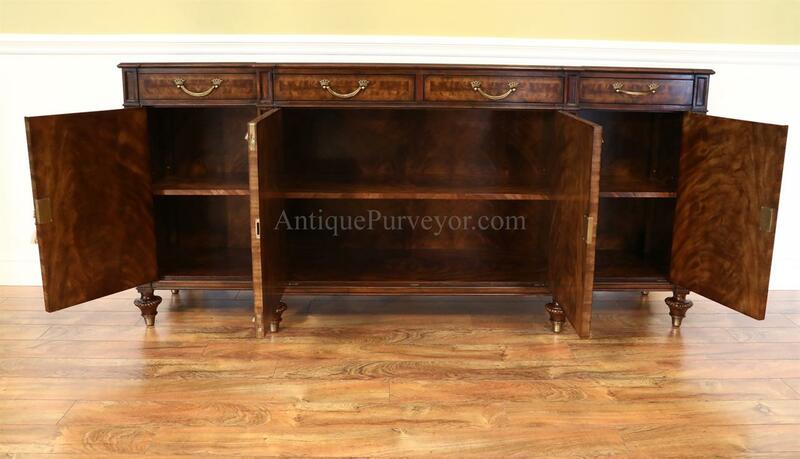 Very good cabinet for an office as well, where can be used as a credenza.